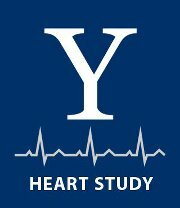 I was contacted by the great people at the Yale Heart Study to post a link so that you can help them gather research on your experiences. Please take some time to help them out here. or the link on the right side. This entry was posted in Heart Attack Discussion Links, Research and tagged heart attack, research study, Yale by Eric. Bookmark the permalink. Hi Eric, thanks for a wonderful blog. I just spent 2 hours reading all the articles and taking the Yale Heart Study. It’s been cathartic for me. I found your site after searching for “i had a heart attack at 36”, because I did this past December while on vacation and had a stent installed. I just started cardiac rehab this week, and have been feeling ‘off’ despite all the good news I have on my health. Someone told me this in the beginning, but it finally clicked here for me while reading all of this… Despite being very supported by my wife, co-workers and friends I’ve gone through this alone, mainly because an active 36 year old isn’t the prime demographic of those that have heart disease and heart attacks. I haven’t found a lot to relate to until now. Thanks.